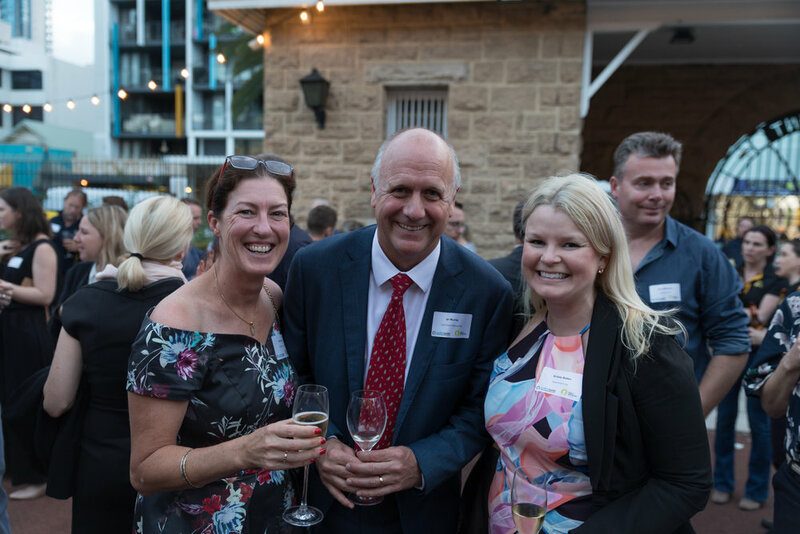 The Gold Industry Group held its second Women in Gold Sundowner, in conjunction with Women in Mining WA, in November at The Perth Mint. 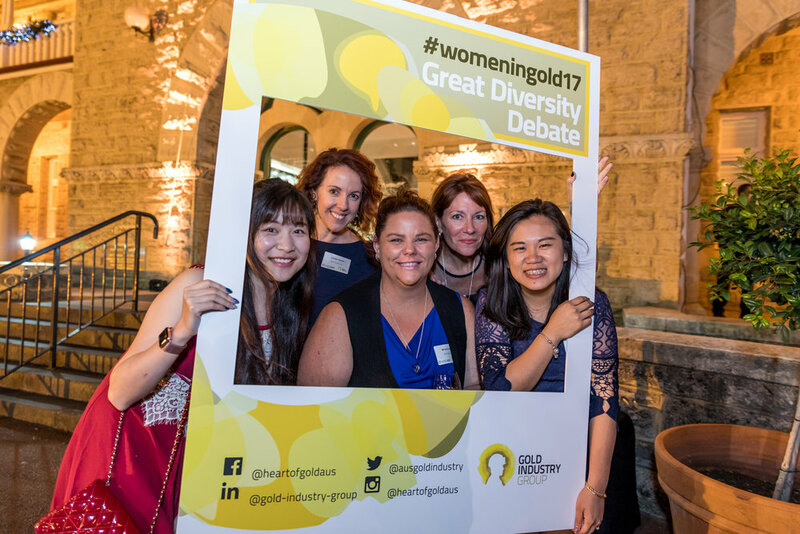 With a 300-strong crowd and the much-anticipated gender diversity debate exceeding expectations, it wasn’t long before the hashtag #womeningold17 was trending on Twitter across Australia. 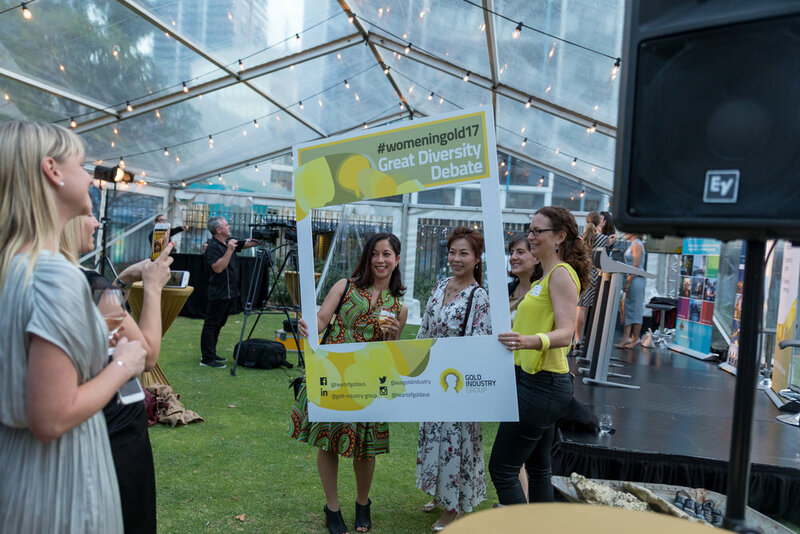 VIDEO: See all the action from the 2017 Women In Gold Sundowner including the great diversity debate. 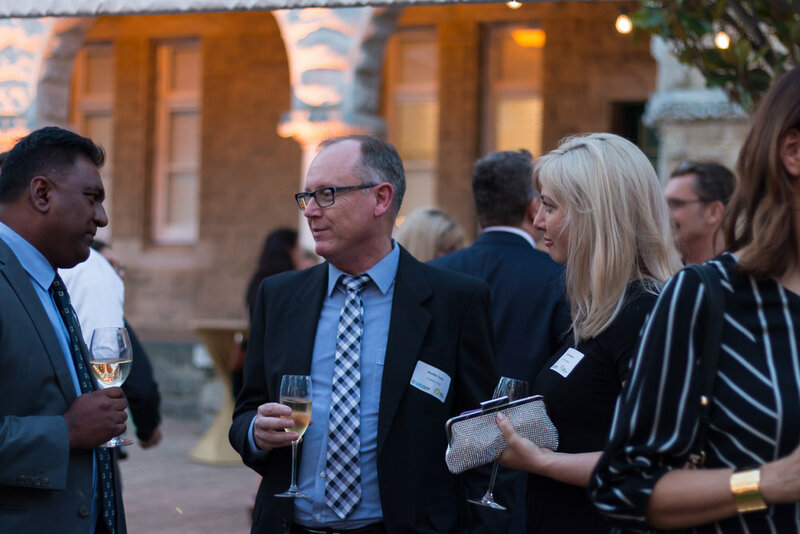 Hosted by Gold Industry Group Director and Gold Road Resources Non-Executive Director Sharon Warburton, the evening sparked an insightful and powerful debate asking the question, do women need fixing or does the system? 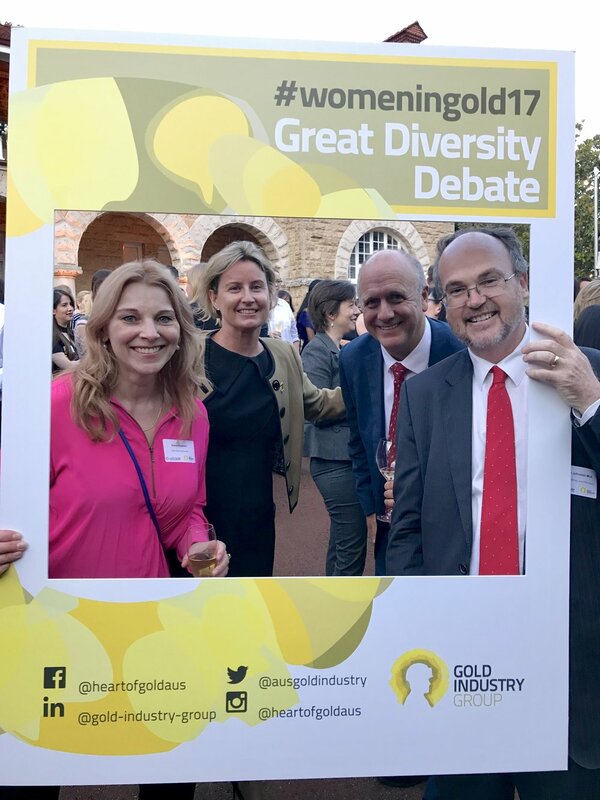 Led by Gold Industry Group Vice Chairperson and Gold Fields Vice President of Legal and Compliance Kelly Carter, the debate was kicked off by BGC Contracting Chief Operating Officer Barry Bloch, in strong favour of fixing our organisations and their strategies, cultures, leadership, processes and systems. “I remember 20 years ago, working in a global professional services firm in the UK where year on year only 4% of new Partners were women. 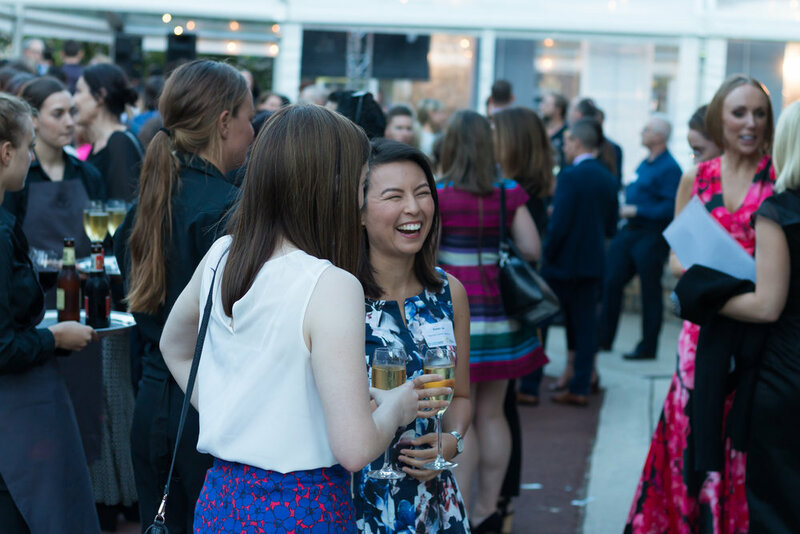 By simply changing the Partner admissions process, within one-year women admissions rose to 25%. Now 47% of the firm’s global leadership team are women,” Barry said. 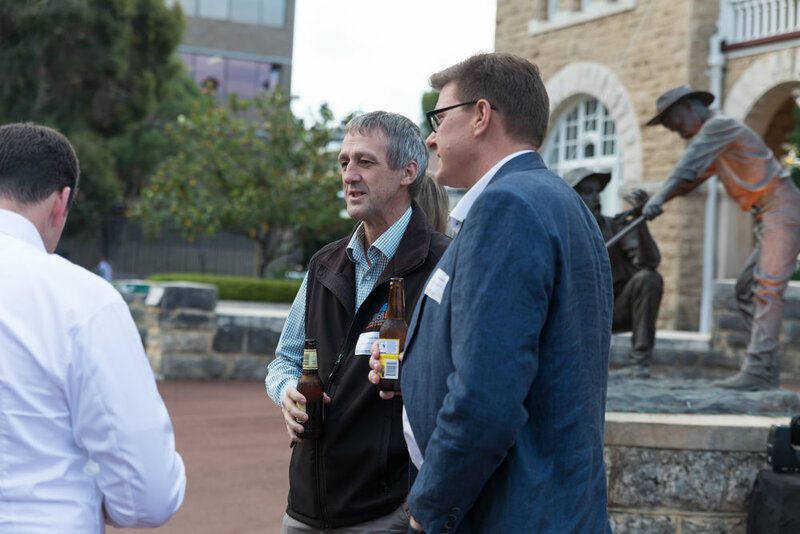 Barry stated it should not be hard to change our organisations and our industry, comparing the successful transformation of the safety culture and performance of our industry, outlining seven simple but critical steps to deliver this change. “We have all seen the statistics. We need to acknowledge and accept that our performance in terms of achieving gender diversity has been woeful. “The fact that we have seen very little, if any real progress in recent years, signals to me that we need to look ourselves in the mirror,” he stressed. He also expressed the need for women in core, senior business and operational leadership roles. 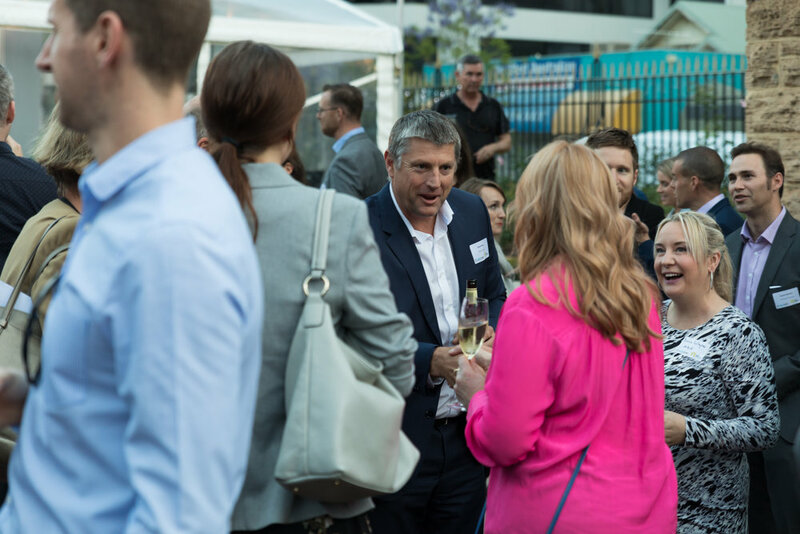 “At BGC Contracting we have set ourselves a whole of business KPI that by 2021 25% of all operational leaders will be women. I do not accept the excuse that we cannot find good women for operational roles,” Barry said. 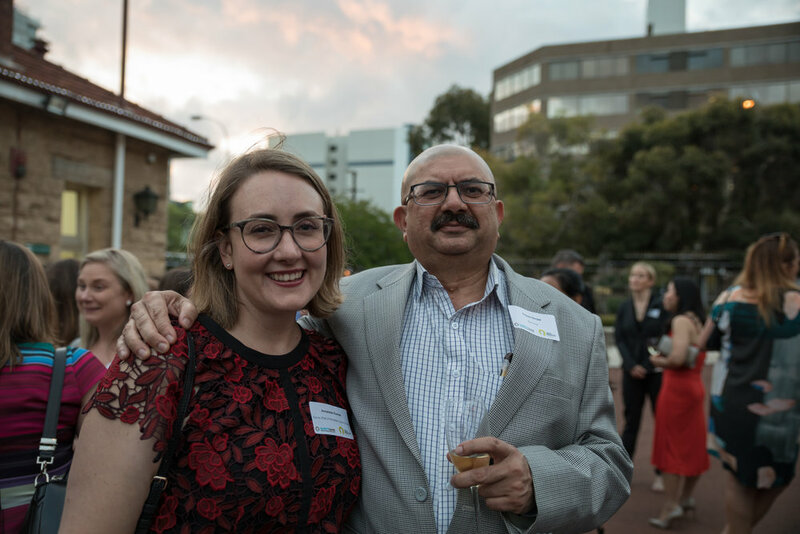 Barry also spoke of the need to change recruitment and people processes saying they are flawed and have been designed largely by men, to recruit men, into a male dominated industry. He also proposed all leaders in our industry needed to be held to account to deliver the 50:50 target in all workplaces. 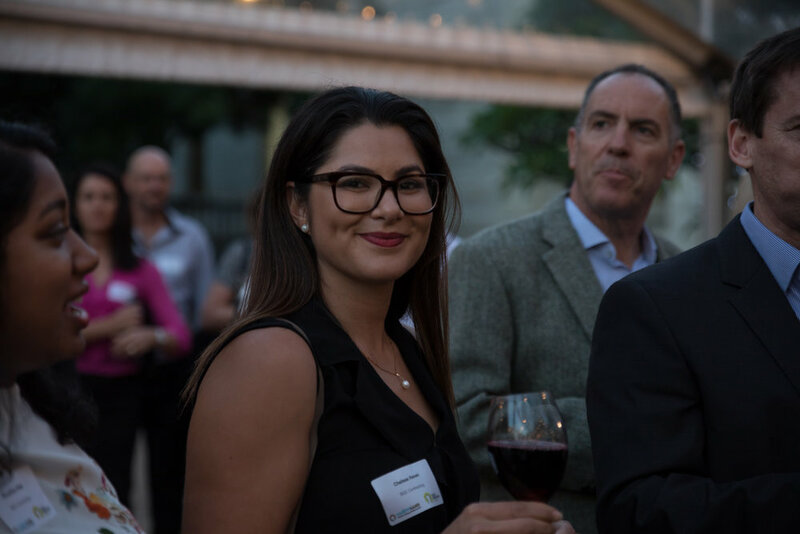 Next up was Edith Cowan University (BEng) Student and Production Mining Operative Breanna Cameron who believed she did need fixing. “What I can tell you is a story, a story about a girl who used to order her high vis of the men’s clothing list, trying to hide her gender. That girl was me,” Bree started. Bree spoke of her challenges and struggles to fit in and prove herself on a mine site. “I’m standing there enthusiastically, bouncing on the balls of my feet, ‘Loving it I reply, next step will be that digger one day’. He started laughing, and shaking his head, ‘What you. You won’t be up on that digger’,” Bree relayed. When Bree’s time came, she knew she had one shot at becoming a digger operator. Bree used her hard earned money, hired a 3.5 tonne digger and took it to the back of a quarry. “I was a pretend digger operator for the day. I made ramps, pads to double bench, climbed up and down the stockpiles, loaded imaginary trucks and of course practiced my grumpy digger tone on the two-way,” said Bree. Bree used to be proud of this story. Gold Fields Senior Human Resources Advisor Cassie O'Connell came out saying the system needed to be fixed. 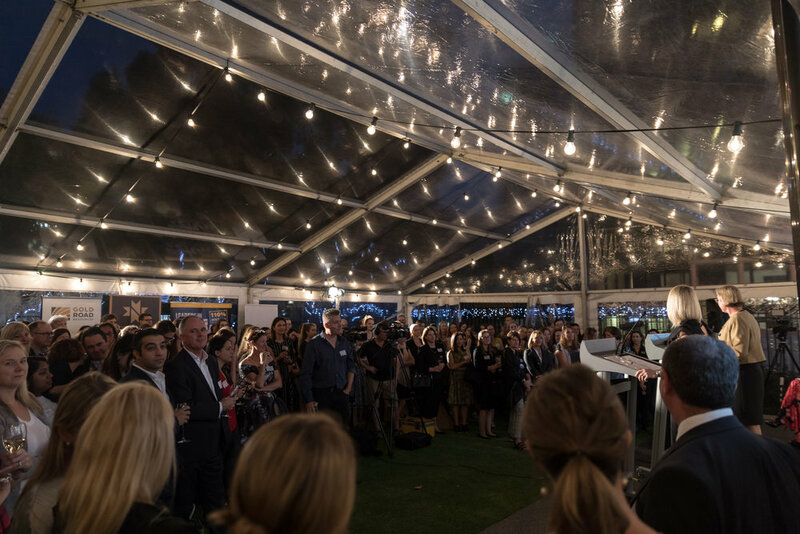 “When I say the words gender inequality I’m going to suggest to you that most of you here think of women, because gender inequality is largely seen as a women’s issue that needs to be fixed by women. “And this is why we have failed to make significant progress despite the spotlight on this issue for the past decade,” Cassie said. 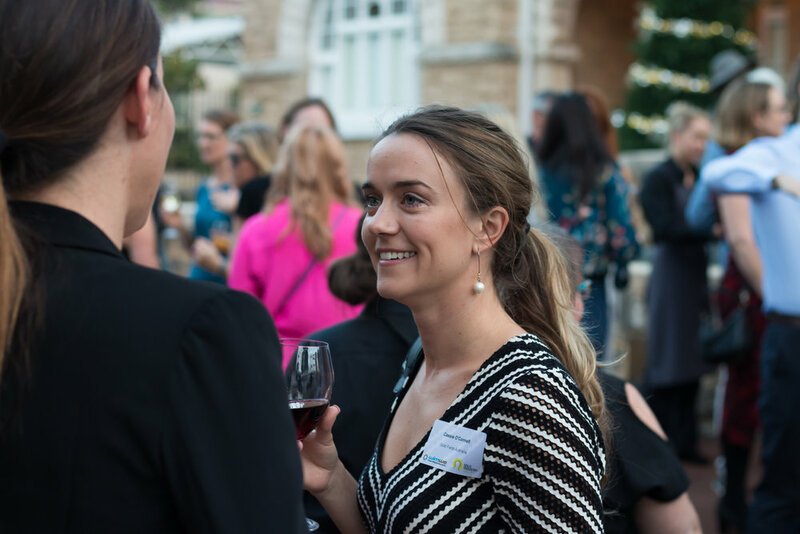 Of the most challenging issues our industry faces and the one that has the potential to make the most impact is the ability to retain females once they have chosen to start a family. 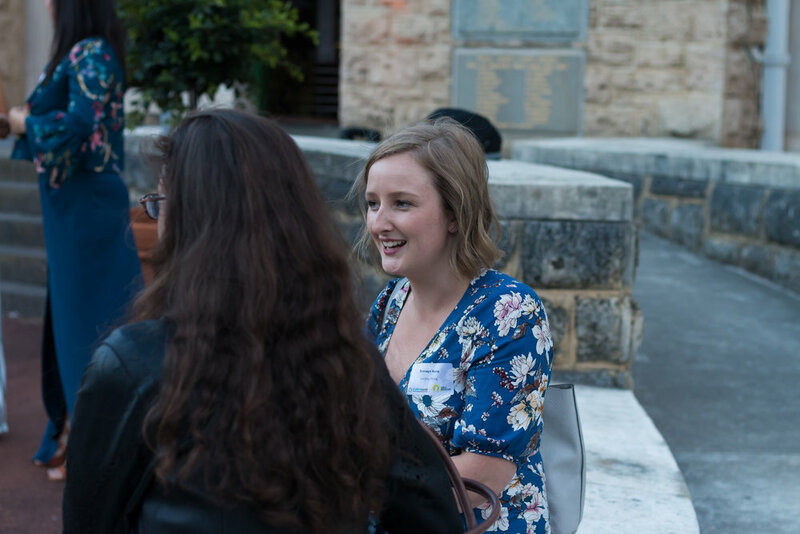 “In an industry dominated by males and FIFO roles, the choice to start a family generally equates to pressing pause or rewind on a female’s career. 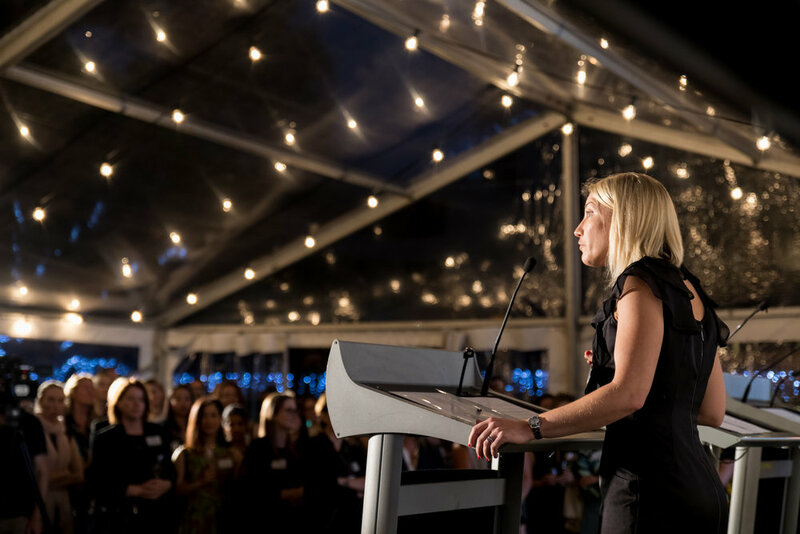 There is a constant stream of incredibly talented women who leave our workforce because they see no career path,” Cassie said. “Our company lost $4.5 million over the past 12 months due to employee turnover. With exit interviews showing that development and career advancement are one of the top factors for people leaving,” Cassie said. 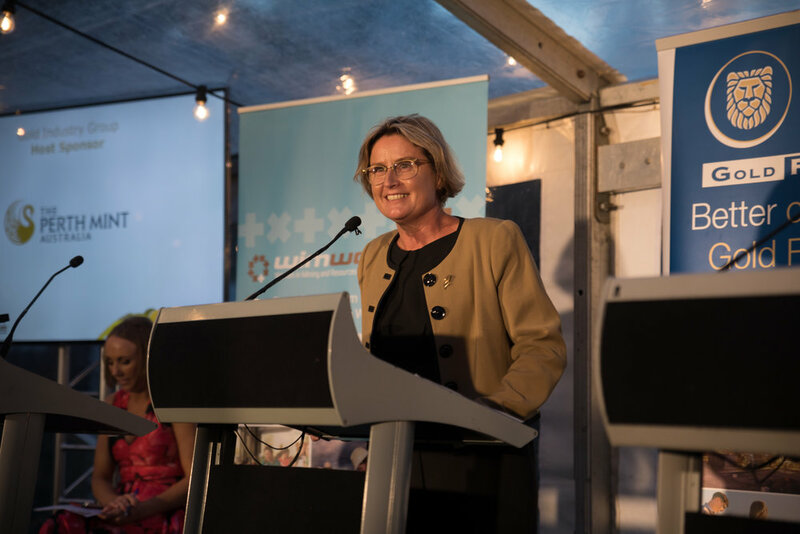 Cassie believes the day we fix this issue, is the day we stop trying to make everyone fit into the traditional work structures and both male and females start taking equal amounts of parental leave and can both return to work in part-time/flexible working arrangements. Last but not least, Career Acceleration Expert and Author Katie-Jeyn Romeyn drew on people power to affect change. “If we want a workplace that provides equal opportunity and is free of harassment and discrimination, we must step into our heroes journey and go forward in the face of adversity. “Too often we choose to sweep gender inequality under the carpet. What if avoiding conversations that create change is what’s keeping us stuck?” Katie-Jeyn challenged. The 300-plus crowd voted, with “fixing the system” team Barry and Cassie only narrowly winning. 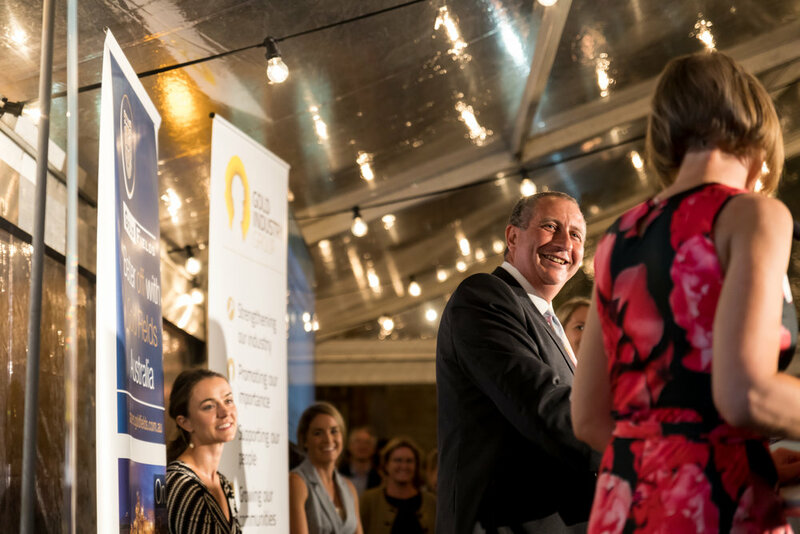 But most agreed gender diversity was everyone’s problem, and everyone left knowing they had a role to play in achieving gender equality in mining. 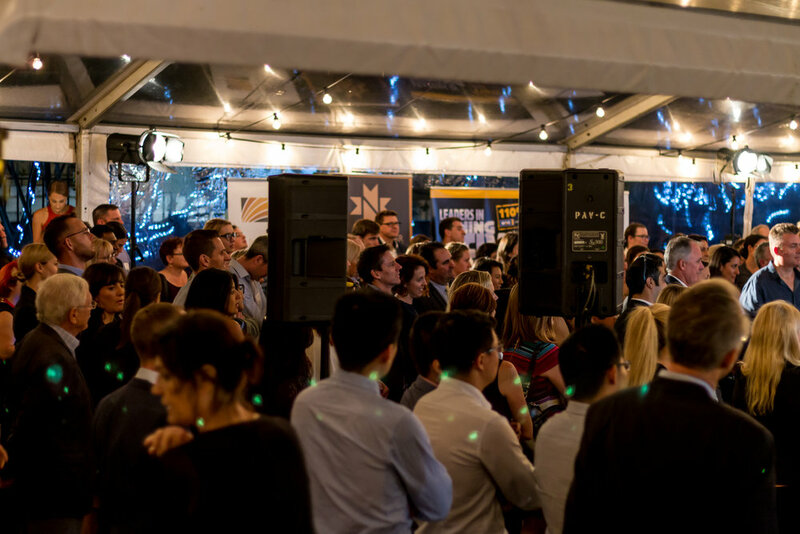 This annual event was sponsored by Gold Fields Australia, The Perth Mint, Gold Road Resources, Ramelius Resources, BGC Contracting and Northern Star Resources.